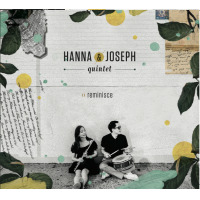 Hanna Kim is a talented Jazz/Classical flutist and songwriter, conductor, and a music educator. Ms. Kim earned her Bachelor of Arts in Music from Bethesda University of California (Previous name is Bethesda Christian University), and the Master of Music degree in flute performance and conducting from California Baptist University at Riverside. Ms. Kim recently graduated from Berklee College of Music in Boston, Massachusetts as a dual major in songwriting and flute performance. She concentrated on jazz improvisation as a scholarship student in the Bachelor of Music Program at the Berklee College of Music in Boston, Massachusetts. A musician from Seoul, South Korea, she is the recipient of the 2014-2015 Matthew Marvuglio Endowed Scholarship, 2013-2016 CJ International Scholarship, and 2013 Performance Division Woodwind Award. 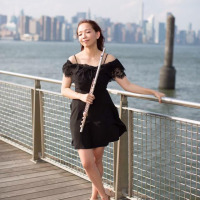 Ms. Kim was a principal flutist with the Berklee Contemporary Symphony Orchestra. She studied with flutists Elizabeth Rowe of the BSO. At Berklee, she studied with Matt Marvuglio and Mia Olson. She also studied with Jim Walker and Mary Oppermann. Her goal is be an influential jazz flutist, hymnal jazz artist, composer, arranger, and a professor. Matt Marvuglio, Jazz Flutist Former Dean of the Professional Performance Division Berklee College of Music. All About Jazz musician pages are maintained by musicians, publicists and trusted members like you. Interested? Tell us why you would like to improve the Hanna Kim musician page.